Enjoy the space and beauty of the country setting within a 10 minute drive to historic Baker Street, the main street of the vibrant community of Nelson. We offer 2 accommodation options on our organic farm: a 1 bedroom suite and a 2 bedroom cottage. The suite is ideal for a single traveler or a couple, also suitable for families with up to 2 children. The cottage comfortably sleeps up to 6 people. Both of us grew up in the mountains- Martin in the Swiss Alps and Tanya in the Northern Caucasus, Russia, so we feel at home here in the Kootenays. 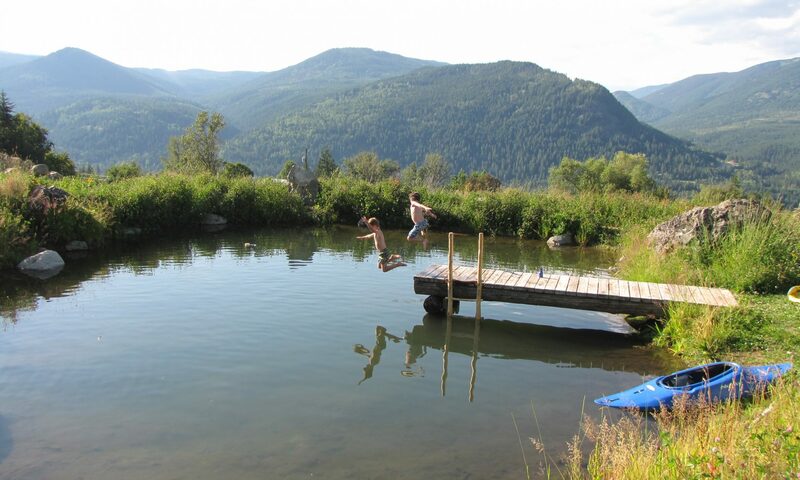 We think it just doesn’t get any better: the natural beauty of the country setting with its abundance of clean water, air, amazing mountain views and space to grow organic food for our family, all only a 10 minute drive away from the amazing community of Nelson with its arts and recreation.